Doctors have used Botox® safely, for years, to treat various medical conditions. Botox® for cosmetic purposes is indicated for improvement in overactive facial muscles. Frown lines and crow’s feet are successfully treated with Botox® injections in both men and women and may inhibit the deepening of lines or furrows over time. Botox® is injected into the area of the muscles, temporarily rendering them unable to contract. You will see results in two to five days as the lines fade away. The effects last from three to six months and over time patients may require fewer injections to maintain the desired results. Juvederm™ injectable gel, is considered the next generation hyaluronic acid dermal filler. It has a unique gel formulation and provides a smooth, natural look that lasts six to twelve months. Common indications include correction of moderate to severe facial wrinkles and folds around the nose and mouth. Who is a candidate for Juvederm™? JUVEDERM™ is indicated for correction of moderate to severe facial wrinkles and folds (such as nasolabial folds). Skin care or laser treatments to improve the complexion and texture of the skin. Radiesse® dermal filler is an FDA-approved, next-generation filler for the correction of facial lines and wrinkles such as nasolabial folds. Made of calcium-based microspheres suspended in a water-based gel, RADIESSE® filler is injected into the skin through a simple and minimally invasive procedure giving you immediate, visible improvement of folds and wrinkles, and providing long-lasting and beautiful results. In many patients, the effects of RADIESSE® filler may last a year or more. Offering clinically proven safety and longevity, RADIESSE® filler is a convenient treatment that stimulates the body to produce new collagen — often with just one or two office visits. Get beautiful results and long-lasting wrinkle correction. Medical skin care or laser treatments to help promote collagen formation and restore elasticity to the skin. BELOTERO® BALANCE Dermal Filler has unique properties that allow it to adapt within the skin for soft and even correction. The versatility of the product makes it strong enough to handle deep treatment areas such as the nasolabial folds, yet soft enough to treat more delicate areas such as vertical lip lines. BELOTERO® BALANCE Dermal Filler is made of a material called hyaluronic acid or HA. HA naturally exists as a component of your skin. your needs, they contain glycolic acid, mandelic acid, citric acid and retinol. Abnormal and excessive scar formation, in the form of hypertrophic scars and keloids. Strataderm was developed for use on all types of scars, including those resulting from general surgery, trauma, chronic wounds, burns or bites. Strataderm dries to form a silicone gel sheet, a protective layer that is gas permeable and waterproof, which hydrates and protects scars from chemical and microbial invasion, allowing scars to normalize collagen synthesis cycles, producing a normal mature scar. Strataderm softens and flattens raised scars, relieving the itching and discomfort of scars, as well as reducing the associated redness and discoloration. Strataderm is the proven and convenient once-daily solution for the management of scars. It is easily applied to all areas of the skin, including exposed areas like the face and neck as well as joints and hairy areas without the need for shaving. Enhance the appearance of skin tone, texture and firmness. Restore moisture after cosmetic or dermatologic procedures. Use AM/PM or directed by your physician for visible results. Skin’s new “wrinkle”? Dark spots and dull skin! PERLE Skin Brightening Cream contains patent-pending MELAPLEX®, a powerful threat to the appearance of uneven skin tone. This innovative complex targets skin with 4 cosmetic ingredients to help even out the appearance of skin discoloration. A consumer study indicated that twice daily use of PERLE improved skin tone by 43% after 12 weeks. LUMIÈRE is powered by 30% more PSP® to help smooth the appearance of fine lines and wrinkles. Other key ingredients include caffeine, hyaluronic acid and bisabolol. This powerful combination of energizers, nourishers and moisturizers helps provide your eyes with a younger, fresher outlook! All skin types: Ophthalmologist and Dermatologist tested • Free of color additives and fragrances • Not tested on animals • Anti-aging. Patented PSP® (Process Skin Proteins), state-of-the-art technology platform, harnesses the power of natural proteins, also referred to as “peptides”. PSP® is an optimal mixture of essential skin nutrients including various peptides such as Human Growth Factors. 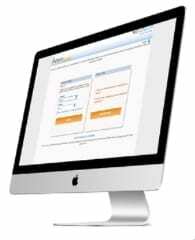 Download the new Treatment Visualizer. 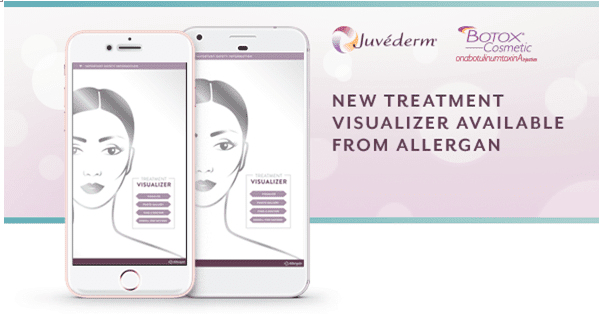 See what your results could be from two of our most popular treatments - the JUVÉDERM collection of fillers and BOTOX® Cosmetic! Available at the App store and Google play.